After three decades of entertaining, I’m writing to share some questions to ask yourself in advance of throwing an epic event (whether business or pleasure), along with some answers to consider. Conveniently, they all begin with W, even the one I had to force. Why: Know why you’re having a special event so you can work toward that goal. Is it to raise money? If so, be sure this is the most effective way to do so, as there are hard costs to throwing fundraising events and they don’t usually make money right away. Or is it to draw attention to a cause, to celebrate an occasion or just to have fun? Whatever the purpose, make sure it’s established before the planning phase begins. Whatnot: Okay, yeah, I also love themes. But here’s what I’ve learned — not everyone is as into them as I am. So, if your goal is to get people to attend (as opposed to casting for a movie), make the theme easy for them. For example, one NYE party our theme was purple. Some people went all in (awesome Cheshire Cat costume) while others wore a purple shirt, dress or hat. What you don’t want is for people not to attend because they don’t get your theme or don’t want to invest the time/money. You can go all out without putting extra pressure on your guests — just don’t require costumes. When the Estipona Group hosted a birthday party for the families living at the Volunteers of America shelter last summer, we chose Dr. Seuss as our virtual host. That made it really easy for décor, food, and activities including rhyming bingo, make-your-own Fox in Sox puppets, Grinch tattoos and Seussian bubbles (bubbles!). Big thanks to the Eldorado for supplying the gorgeous (and tasty) themed cupcakes for the VOA’s monthly birthday parties! Pinterest is your friend when it comes to theming events. If you have an idea, it’s almost guaranteed someone has already done it and pinned about it. And this includes the Napoleon Dynamite movie party we held, where we set up a “Make yourself a dang quesa-dilluh” bar. Is it the right size for your guest list? Know that too big can be just as bad as too small. And yes, that’s what she said. Is it available on your preferred date? Is it conveniently located for your guests? Does your rental fee include tables, chairs, linens? Dishes, glassware, cutlery? Does it have AV? Is there an extra charge for that? Does it allow you to bring your own food and drink or do you have to use their caterer? Are you allowed to serve liquor? Does it fit your theme? 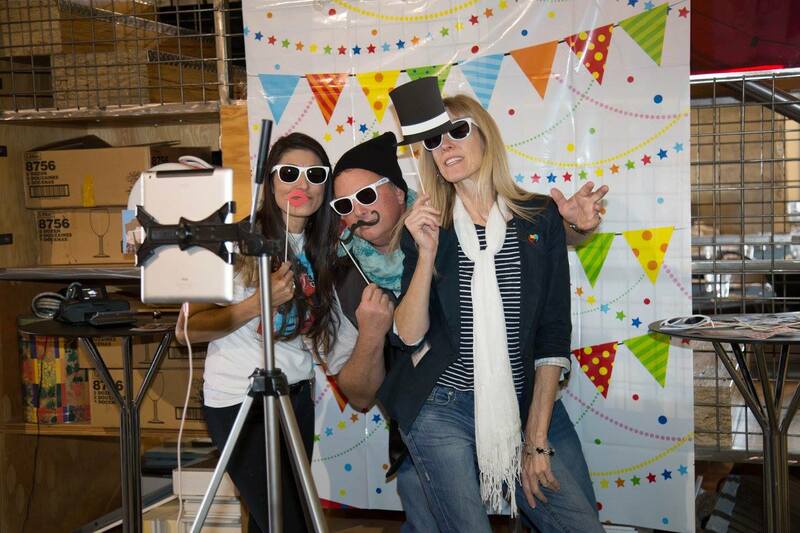 For a recent Nevada Housing Division (NHD) lender appreciation luncheon, the theme they chose was Hipster (to go with the acronym HIP – Home Is Possible), so we asked Cathexes if they would host the event in their warehouse. Get it? Warehouse = Industrial, and therefore Hipster. Click here for some photos from that on fleek event. When: You want to pick something that makes sense, but doesn’t conflict with other events your audience might be interested in. For the NHD event, we researched conflicts in the real estate, construction, mortgage and general business community sectors. Also consider what time of day makes the most sense. Breakfast and lunch events tend to be less expensive and might be easier for people to attend. What (are we eating): Does the food need to tie in with the theme? Some other considerations include budget, availability of an on-site kitchen and food service. You’ll want to have some vegetarian and gluten-free options available. And that includes the drinks — some vodkas are wheat-based, as is most beer. And, of course, non-alcoholic drinks are a must. Need to hire a caterer? Find one who is flexible enough to work with you to help you realize your vision. We love Brooke Lampert, of Divine Plate, because of her amazing creativity in addition to her mad kitchen skillz. For the HIPster event, she selected bamboo plates that have already (and can be) recycled, and she served the food on weird housing-type items — the dessert was quite attractively displayed in a Barbie Dream House. Again, it’s okay to have some key items that fit your theme, but you don’t have to get all nutso with this. Most people won’t notice if the chips aren’t purple, for example, though they do make purpleish chips. And remember, there’s nothing wrong with potluck for a private party. The prep is easier on you, and one of my favorite things is seeing how creative my guests get when theming their food. We have a Sharknado movie party in my backyard every summer where we have quite enjoyed the Shark Bite cocktails and ‘Shark’uterie trays. This also takes the budget pressure off. I have thrown blow-out parties for 100 people for less than $100. Warbling (aka Music): Spotify is the bomb. For the Estipona Group’s 24 Karat Magic anniversary party, we created a playlist that was a combination of Bruno Mars, gold and magical songs. For our 2016 anniversary party, we created a playlist and invited our guests to add their favorite tunes to it, thus guaranteeing a nice mix that was popular with our guests. After you create your playlists, be sure to play them ahead of time to make sure they fit your theme and they’re, you know, good. The Women & Children’s Center of the Sierra jewelry and accessory sale fundraiser (coming up March 15 at the Atlantis!) has a theme of True Colors. It was fun putting together a colorful playlist, but some songs just don’t work for a party. “Don’t It Make My Brown Eyes Blue,” for example. As an aside: oddly, “Bohemian Rhapsody” can be shoe-horned into almost any playlist, and every single person at your party (including the young people) will know all the words. Or at least enough of them to sing along. As an aside to my aside, sneaking in Rick Astley’s “Never Gonna Give You Up” is a fun way to rick-roll your guests. What else? These are mostly suitable for house parties, but could also come in handy if you’re hosting your event at a non-traditional venue. Paper plates are fine, and make it a lot easier to share your theme. Pro Tip: Complement your themed plates with some of a similar color. This makes it easier to use the extras for other non-themed events. In addition to food, decorations and ice, add these items to your party shopping list: toilet paper, garbage bags, hand soap, food storage containers and dish soap. Rather than making your guests dry their hands on your other guests’ germs, pick up some disposable hand towels. Do as much as you can the night before — hang decorations, move chairs about, wash wine glasses, etc. This takes the pressure off you the day of, when you all of a sudden remember you forgot to buy avocadoes. You don’t have to clean your entire house to host a party, but remember that people will most likely be putting their coats and purses in another room. And there’s a good chance they’ll use the non-designated bathroom. Empty the dishwasher (and garbage cans) before the party starts. It makes it easier to clean up throughout the night. To best capture fresh-faced party-goers, take photos early before the lipstick wears off and the wine kicks in. And take at least some without a glass in hand. If it’s a fundraiser or other public event, give your guests a hashtag to use when they post their photos on social media. If it’s in your home, get your carpets professionally cleaned AFTER your party. It’s almost guaranteed somebody will drop food or a glass of red wine. What’s the most important thing? Have fun, of course. Seriously. These events are meant to be enjoyed. Otherwise I wouldn’t do so many of them. For real.